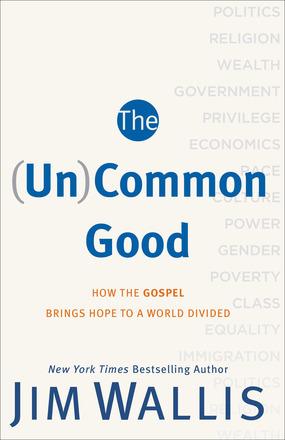 In the book “The (Un)Common Good” Jim Wallis articulates how in politics some people have lost the idea of common good in a social context. Politicians have developed a language of ‘us’ versus ‘them’ that has damaged the political atmosphere and has stopped politicians from finding solutions to problems that transcend political parties. But the political posturing of politicians today blocks any effort to solve critical issues that are affecting us all regardless of political affiliation of geographic location, even having international implications well beyond our borders. Jeffrey Sachs in his book “Common Wealth explain how in the face of an increase in population and an increase in the needs of this increasing population we need to address the solution of todays’ environmental problems through an international collective endeavor. Sachs present a solid economic argument based on lots of data about the need for economic collaboration at international level. Sachs argues that it is only with agreement at the international level that future problems with the environment will be solved. My point here is that in order to have international agreement we first need to have national agreement. Something that appears far under the current political environment of un-common good explained by Wallis. Finally Kropotkin in his book “Mutual Aid” written in 1902 clearly develops a historic explanation of how for most societies common good has been the driver of social evolution. The historic evolution of our society is based on the human nature of relationship. A basic characteristic of our human nature, a fundamental trait of our existence is the need for a collaborative subsistence. By ourselves individuals can’t subsist much less today when specialization is dominating societal activities. Not even in the old days at the beginning of civilization before agriculture when a bunch of savages lived by hunting and gathering. Even then, as it is seen today in the rest of the animal kingdom, life had to be within collaboration between and among groups of individuals. Kropotkin argues solidly against some who have misinterpreted Darwin’s idea of the survival of the fittest as an individualistic effort in favor of a sociological fitness based on intelligence. Fitness so defined is based on a broader view of circumstances, context, and environment. We must realize that today is even more important to see the world as a unity where we will not succeed individually, even if our individual belongs to a strong small group of individuals. The word “socialist” related to the idea of common good, is today the example of how the meaning of words have change with the evolution of our society. For some socialist means anti-american, when in fact the United States of America was founded on the very idea of common good. The word “United” says it all!